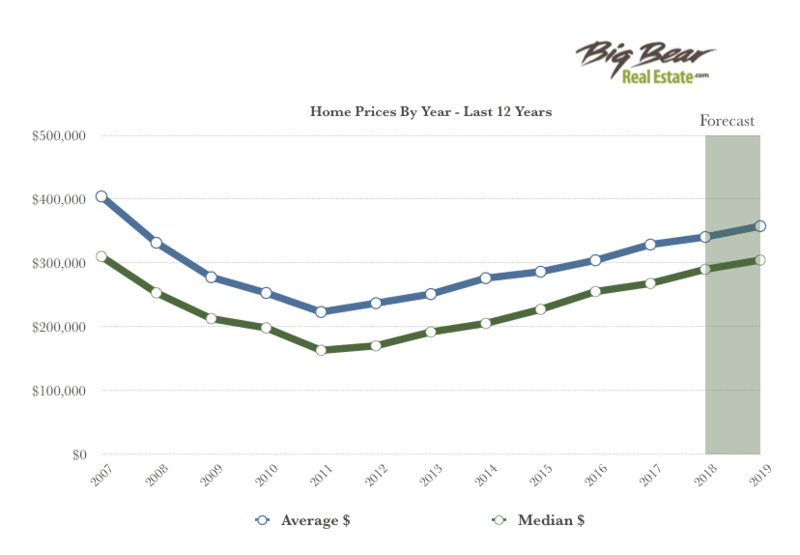 The Big Bear real estate market experienced ups and downs in 2018. The average sales price of single family homes increased by 4% compared to 2017. Median sales price was up 8%. Properties sold in 2018 went for 98% of the asking price after 92 days on market on average, compared to 98% and 110 DOM in 2017. Total average inventory* was up 4% from 2017. 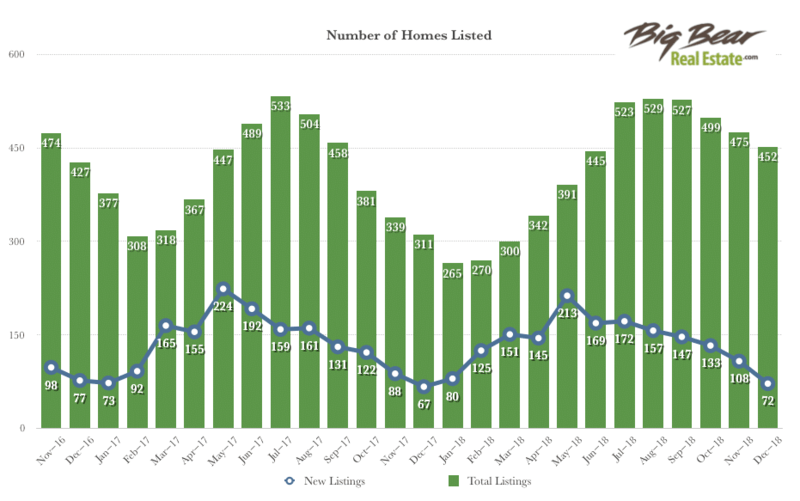 The graph below shows average inventory and new listings by month over the past 2 years. There were 1,118 sales in 2018, a 22% decrease from the 1,436 transactions closed in 2017. 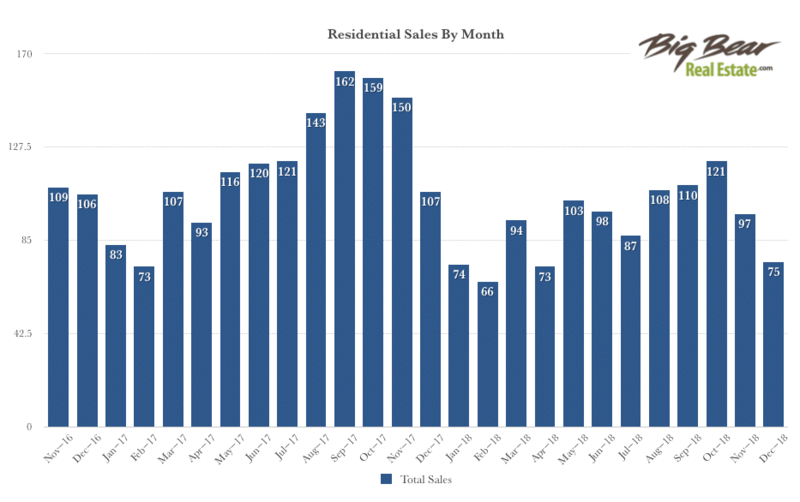 The graph below shows the number of sales over the past 2 years broken down by month. See below for a breakdown of average sold price per square foot by area. Big Bear Lake Central sold for the highest price per sq ft with Fawnskin coming in next. 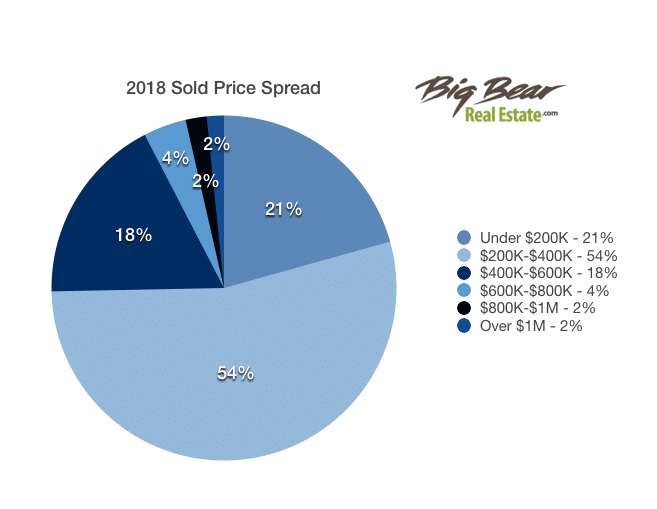 21% of homes sold in Big Bear went for under $200,000 market wide in 2018. 54% sold between $200-400K. Only 8% of homes sold for $600,000 or more. 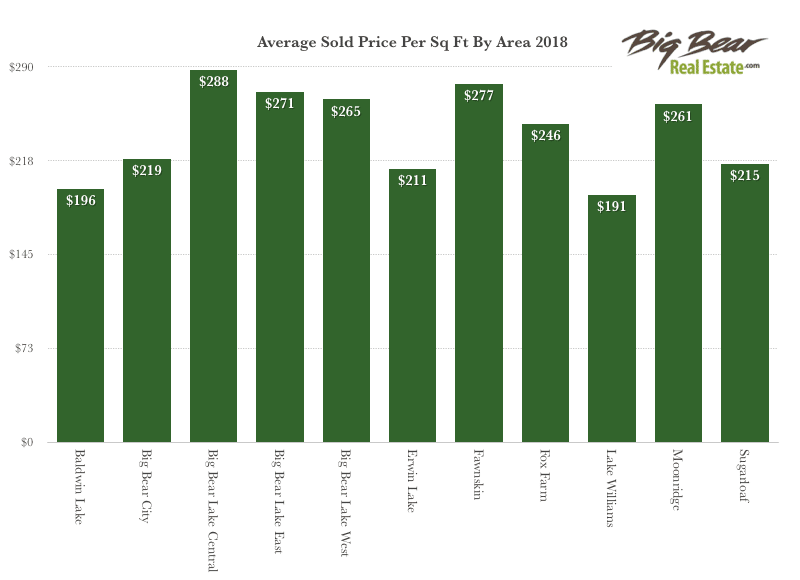 In 2018, average sales price in Big Bear increased from the prior year by about 4% market wide. It is predicted that home values will rise about another 5% over the next year.